Located in Salford, close to the Salford Quays and MediaCity UK, the centre offers a fantastic proposition for tenants looking for premium, self-contained space. Covering over 9,000sqft of space, the centre has been refurbished to a high standard and offers 24 hour access, superfast internet and a great onsite management team. The centre is just a 10-minute drive from Manchester city centre and is close to the wide range of amenities that Salford Quays offer. This is a superb waterside location, within walking distance of great transport links. This newly refurbished landmark building provides 32 high-quality serviced offices, fully furnished and equipped. These spaces are accessible 24-hours a day and benefit from parking spaces, which are ideal for both tenants and visitors. There are excellent places to stay in the area, and the bustling Manchester City Centre is within easy access. Hosting four floors of serviced office space that has recently undergone a £3m refurbishement this waterfront property supplies spaces with two up to 80 desks. There is an on-site 94 space car park, is just a nfive-minute walk from the Metrolink and has wonderful views of Media City. 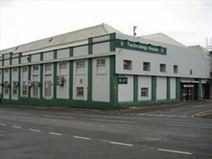 This centre is located just 2 miles from Manchester city centre, and is well served by public transport. This business center offers shared offices that are ideal for small businesses and freelancers. This is a vibrant business hub, offering great networking opportunities. Located a short 10 minute walk from Trafford Centre and 2 minutes’ from Ladywell metro link stop, this centre offers a range of office space within a self storage site. Offices are bright and clean, carpeted throughout with kitchen and WC facilities. On offer are meticulously refurbished serviced offices, designed to enable thriving business. Set in a prime location with tailor made IT solutions, car parking spaces and state of the art meeting facilities this business centre also delivers with an environmental conscience. The centre is easily accessible by car and benefits from a metro link stop close by, which is an excellent benefit for commuters. A selection of spacious warehouses are available to let in a popular business park in Manchester. Available in various size, these units are decorated to a high standard and equipped with state-of-the-art technology, to offer an ideal working environment. These spaces benefit from easy connections to the motorway junctions and are easily accessible. This centre is dedicated to supporting small and more established small businesses and provides flexible office space in a collaborative business environment. This is an ideal location close to Salford Crescent railway station, and an easy drive from the motorway network. This office is located in the edge of the city, close to Salford Central station and Lowry Hotel. This centre offers commercial office space on flexible terms. A full range of solutions is available to clients. With the close proximity not only to Salford City Centre but also to Manchester, there is no shortage of restaurants, bars, shops, museums, sports venues and places to take in some live music. Offering fully-serviced, professional office accommodation in a variety of sizes this centre features 24-hour access, house managers and professional reception staff in a large modern building. Managed space, meeting rooms and car parking are also available. This centre is situated just two miles from Manchester city centre, with various attractions, and is close to a number of bus, rail and road networks. 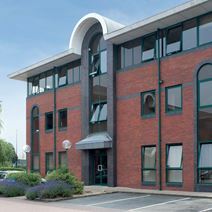 Strategically located in a renowned business park in Manchester, this modern building consists of offices of various size available at flexible rental terms and at an all-inclusive price covering a full range of services and facilities. Furnished to a high standard, these offices benefit from an elegant reception area and offer a highly professional working environment. 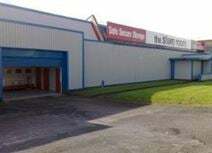 Just a few minutes away from Manchester city centre, this business park is close to the motorway and to the railway station and is well connected to the airport. Catering for anywhere between two and 100 people this centre is ideally situated in the middle of Manchester's digital and creative hub. Less than 30 minutes from Manchester Airport it is ideally placed for domestic and international business alike. Accessible 24-hours a day, the space has great facilities including bike racks and shower facilities for those cycling to the office. Meeting rooms are available on-site. 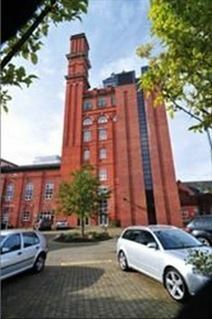 Business centre situated in Salford Quays, adjacent to Media City and less than two miles from Manchester city centre. The unique waterfront location is in the thriving commercial centre of Salford Quays, with many restaurants, bars, general shopping facilities and a cinema, theatre and fitness centre within close walking distance. Close to the extensive motorway network and Manchester International airport is only a 20 minutes’ drive away. The Metrolink tram service also stops just a few minutes’ walk from the centre. This is a superb new development in a stunning location, set in historic listed brewery buildings that have been completely refurbished to provide high quality serviced office space, as well as a set of brand new spaces. At the heart of the city centre, and close to all that this lively metropolis has to offer.